I am a speaker, presenter, coach who divides my working life across Silicon Valley, Australia and New Zealand, supporting individuals to be unapologetic about contributing their whole self to their careers, their workplaces, their communities and their lifestyle. A particular focus of mine is Women in STEM (Science, Tech, Engineering and Mathematics; I recently heard a new term which I like even more HEAT; Humanities, Engineering, Arts and Technology) and helping the drive to not only attract more women into these areas but to ensure that they thrive and grow. I am the right brain twin part of twinovate, a twin collaboration and celebration with my left brain identical twin Josie, who lives in San Francisco. 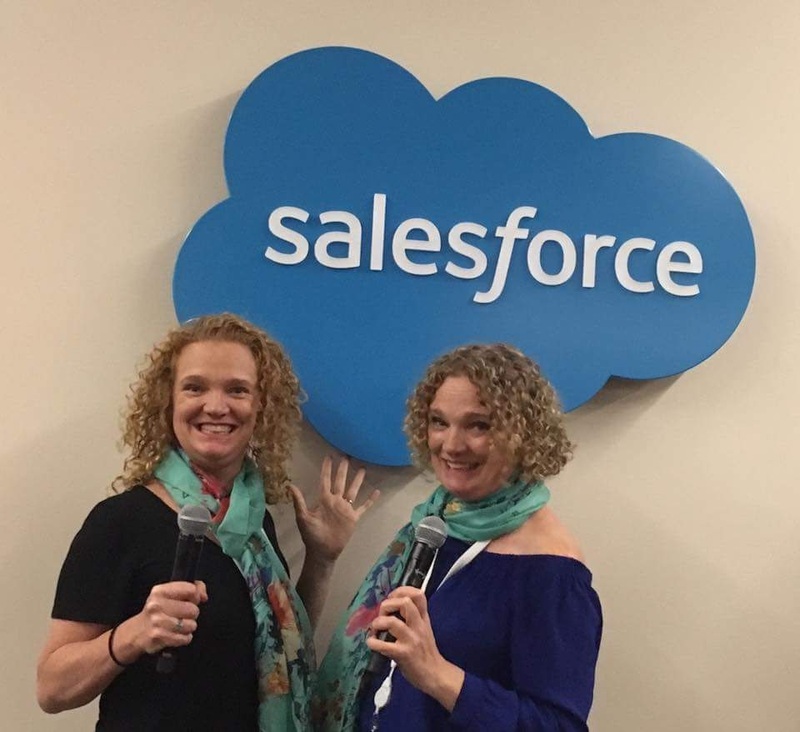 We have recently completed an oversubscribed speaking tour in the United States, where we presented at amazing places like Salesforce, Planet Lab and Apple in California and Grace Hopper 2017 Women in Computing Conference in Florida. The topic ‘quit apologizing, over-explaining and justifying’ resonated strongly with the audiences, so we have now agreed to travel to each other’s hemispheres regularly to continue to spread the word! A successful entrepreneur, I co-founded ITmaniacs, a recruitment company which ranked #2 in Deloitte Fast 50. I am a media commentator/careers expert for Mediaworks in New Zealand and published my first book ‘Lead Generation' in February 2015. I was also lucky enough to be a foundation mentor for the highly successful Thought Leader’s Business School in Australia. After completing a degree in Psychology at Otago, I invested significantly over the years in various personal development pursuits. These were all seriously life changing for me, but I now realize a big part of this was borne out of some massive need to ‘fix’ myself (see ‘a rant about my history’ below). My earlier career spanned a variety of roles and industries including various technology roles, dressing up as Rosie the Spider and performing environmental plays to school children, waitressing in Austria, the trading floors of London and photographing tourists at Les Girls nightclub in Sydney. On a personal note I am a mum to Lucas and Cameron, two gorgeous curly headed boys and a werewife to my dear wasband Geoff. A rant about my history…. 3. the way I moved (completely uncoordinated, awkward, clumsy and walking with a strange bounce). The years went by, and I continued to feel like I needed to apologize for who I was. For being single for years (marriage and at times even having a boyfriend sounded like absolute bliss; having someone who actually ‘liked’ me?!). For the fluctuating weight. For the fluctuating income. For the ongoing awkwardness, clumsiness and loudness. Without realising it, I fervently sought answers outside of myself. I invested substantially in personal development courses, trying desperately to fix myself and find the answer so I could be more ‘successful’, influential, elegant, skinny and happy. I would have denied that I was doing that, and convinced myself that I was very grounded and loving of myself (and admittedly in the main I had a cheery disposition; it wasn’t like I was wallowing in the depths of depression). But the tiresome reality was, I was still that awkward little red head girl trying sooo hard to fit in, and please others. I also am aware that dealing with a bit of awkwardness and ginger hair is nothing compared to the way that others have been excluded in their pasts. And there is a little part of me that feels like the ‘poor little privileged girl’ who had nothing more serious to worry about. But we all know that perspective is a tricky beast, and I am unapologetic about honoring the experience as it occurred for me and me alone (and well, maybe Josie too!). We all have our childhood ‘differences’, let’s not take away the enormity of how they occurred to us by engaging in that dodgy thing called comparison. Fast forward to today, and am I ‘over’ all that? Have I finally found ‘the way’ and embraced a euphoric level of self love that means I blissfully ride the ups and downs of life with a spritely skip in my step? Er no, not at all! But my life and ambitions certainly feel simpler, I appreciate the little things and I feel like I am finally focusing career wise on what I want to do and feel passionate about, rather than what I ‘should’ be doing. And I (mostly) accept myself, the so called ‘good’ and the ‘bad’ and am no longer spending massive amounts of money on listening to what others have to say. So then how come I am charging others to hear what I have to say as a speaker, presenter, author and coach? Because my message now is to find a way that works for you, and you alone. Challenging status quo where you choose and being ok with who you are. If we can all learn to be more unapologetic, accept all parts of ourselves and create a career and lifestyle that works for us, then not only will we feel more at peace, but others around us won’t get robbed of those bits of ourselves that we are scared to show! And sure, pay experts and invest in books and courses that contribute to your creations (ie your career, lifestyle, financial situation, relationships and communities), but it’s healthy not to drink the proverbial Kool-aid juice and take it all with a great big grain of salt. By that I mean, understand that just because it worked for them (eg they lost the weight, got the man, cured their illness, created seven figure incomes or overcame infertility) doesn’t mean it is necessarily going to work for you! It might, but it’s not guaranteed, even if you follow their five step process or amazing model to the letter. And that’s ok! And yes, I am inspired by so many experts who share their stories, and who do manage to inspire others to achieve great results. 1. Are you checking in with your own intuition, gut, God, spirit guide, universe whatever you call it, to see if this is something that resonates for you personally (not wanting to sound dogmatic here, my personal belief is that we can tap into that same energy that also is responsible for birds migrating and our hearts beating without us doing anything). Or even if you don’t have your own personal ‘check in’ source, does it just feel ‘right’ for you? 2. Are you striving for this, because you truly want to or because you think you should, or someone else does? You can of course choose to live a life that is not your own, but it’s useful to acknowledge it. I now realize that a lot of what I was doing, wasn’t congruent with either of these two points. The kicker is, I really thought it was at the time, but it was primarily driven by a need to fit in and a fear of rejection. And how does this all impact what I offer today? I love working with companies (primarily in US, Australia and New Zealand) who understand that unapologetic individuals are not only to be welcomed, but to be celebrated. That if their people contributed unapologetically and unabashedly (without being jerks about it!) then they can truly benefit from inclusion, collaboration, innovation and diversity. The apologetic journey that we go on together will significantly reduce the amounts of time we feel we need to apologize for who we are, for what we believe in, what we look like, our gender preference, how much we earn, our quirks or our relationship arrangement. We won’t do things because they have ‘always been done that way’ or ‘it’s the way things are done around here’. We will feel comfortable in our own (whatever colour) skin and contribute our ideas and thoughts without second guessing ourselves or qualifying it with ‘this might be a stupid question but’. And most importantly, we will freely live a life that works for us and inspire others to do the same. It’s time to eradicate the apology epidemic!